With over 65 years of experience in the industry, Mandviwalla Motors is not just a business, it’s an institution. Like every good institution, we must move ahead with changing times. Recently with the inauguration of their 3Sth facility in October 2003, they were appointed as the flagship dealership of Pak Suzuki Motors. 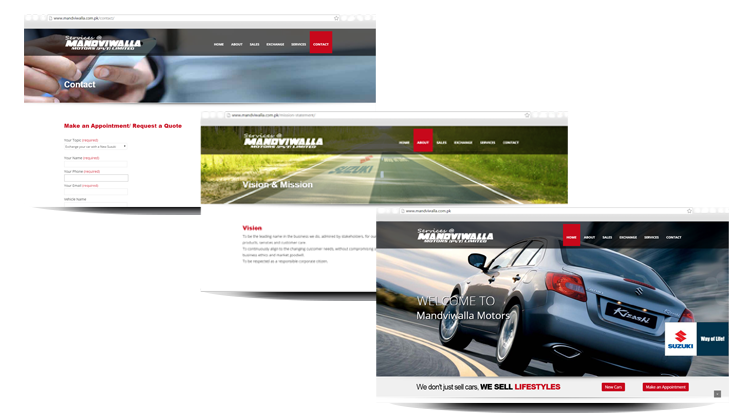 What inspurate did was develop a robust portal whereby the client can showcase their entire inventory of cars, take orders and booking. The portal was built upon the latest open-source technology.